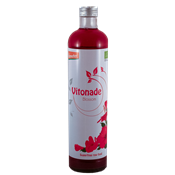 This Vitonade supports in particular all brain functions and tempers main problems of migraine to forgetfulness or insomnia. In addition the root strength supports all building processes in the physical body, from skeletal to muscles and organs to nerve and sensory system. 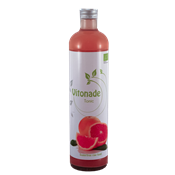 Of course vitonade only supports and complements those processes, but a base of a versatile and healthy diet remains necessary and Vitonade cannot replace this. Through a careful selection and dosage and the cold extraction process the quality of the raw materials meet up to their duty. The pressor effects of the licorice is minimal, but can never be completely ruled out. Only those who use antihypertensive drugs, can better avoid Vitonade ginger.